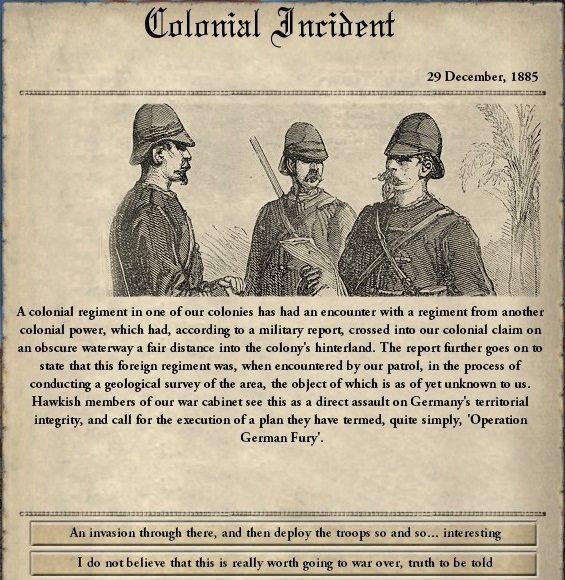 Original Thread: How the Hell do We Play Victoria 2: Heart of Darkness? If you liked this LP, you might also like Crusader Kings 2 by Kersch, Drakengard by The Dark Id and Killzone 2 by Blind Sally, nine-gear crow, et al. Welcome to the Victoria 2: Heart of Darkness instructional Let's Play! My goal with this LP is to help people who are interested in playing Victoria 2, but who've been put off by the complexity actually get their foot in the door and start enjoying the title. If you're a fan of both Europa Universalis 3 and Crusader Kings 2, you will likely be able to get into this game relatively quickly after being introduced to the UI and some of the basic mechanics. That being said, some of my explanations will be an attempt to liken mechanics from Victoria 2 with similar ones in EU3 or CK2, but I believe that these updates will be helpful even to those who haven't played other Paradox titles. What is This Game Like? Europa Universalis 3 and Crusader Kings 2 can often surprise you with who comes out on top. With 400 or 500 years of game time, you'll sometimes see some unassuming duchy from the middle of Europe that has consolidated power, colonized, or done something else exceptional compared to it's historical fate. Victoria 2 starts us in 1836 and runs until 1936. This is a game centered on the struggles of great powers trying to outdo one another on the global stage while the secondary and lesser powers are, at best trying to claw their way to great power status, if not simply attempting to prevent great power influence from hobbling them. This means that many of the top players on the world stage are familiar and somewhat static, but there is still room for surprises. 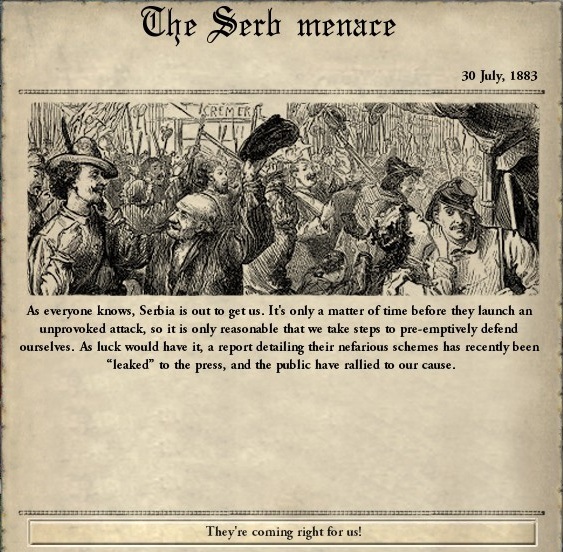 The timespan may seem short compared to EU3 or CK2, but there's a significant amount of distinct change throughout the game, both in terms of technology and warfare as well as the ideological thoughts of your populace and politicians. This is a game that begins with muzzle loaded rifles, cavalry, and clippers, and ends with airplanes, battleships, and machineguns. 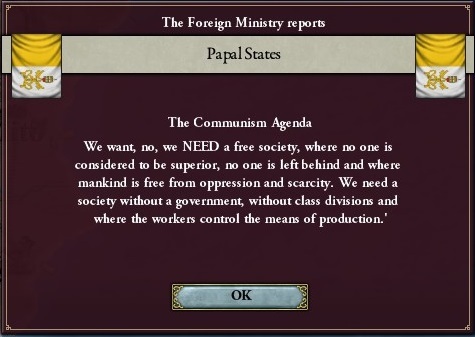 You may struggle with new liberal ideologies near the beginning of the game, whereas near the end you may be struggling with the possibility of your government collapsing under the pressure of armed communist or fascist revolutions. Greater powers will come into conflict over colonial territories and 'spheres of influence' - lesser nations which the great powers exert great control over. Say that the United Kingdom has Egypt in their sphere of influence, but you as France want Egypt in your sphere. The idea of creating and controlling the Suez canal for easy access to the Indian and Pacific oceans is too much to pass up. Should you try to influence Egypt politically and bring them into your sphere with diplomacy, or will you go to war over their control? These conflicts will intensify near the end of the 19th century as the scramble for Africa occurs and the great and secondary powers try to grab every piece of land that they can get their hands on. 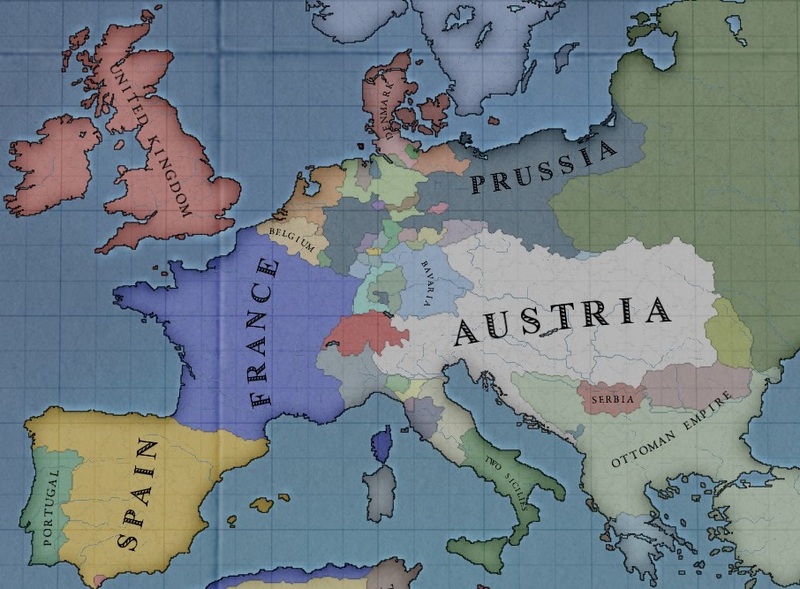 Conflicts between great powers become more dangerous as the game goes on, with the potential for Great Wars to occur near the end of the game's timespan. These great wars will tend to draw in several great powers on each side. A simple land grab or the attempt to humiliate a historical rival may well turn into a dangerous world war. 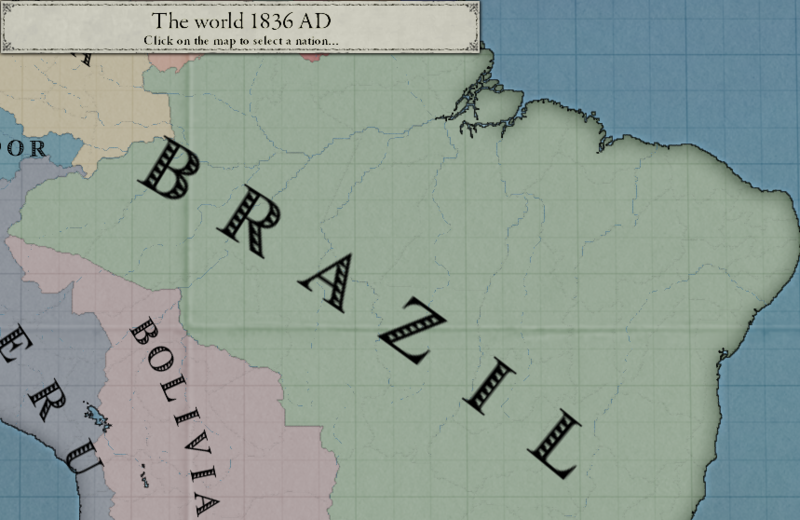 I'll be playing a tutorial game as Brazil, which begins right about at the bottom of the list of Secondary Powers (the meaning of this will be explained in the next update). I think that Brazil is a great nation for a first game. You are in a relatively safe position, far enough from the great powers that you can experiment in peace. Your potential enemies are weaker than you, but they can be troublesome if they team up against you. You are not in immediate danger of being wiped off of the map, which is a good thing. You have a good sized population, but the majority of your people are concentrated on the coast with several sparsely populated states throughout the Amazon. This gives you the chance to learn how to manage your people and resources properly. The first update will primarily focus on the main features of the user interface, and actual gameplay will begin in the update to follow that.